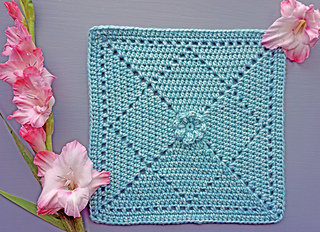 Week 20 square for 2016 Friends Around the World crochet along (CAL), organized by CAL - Crochet A Long Facebook group - https://www.facebook.com/groups/668646249929007/#. Yarns listed above are some of the most popular ones used by CAL participants but it can be made with any weight yarn using a respective size hook. 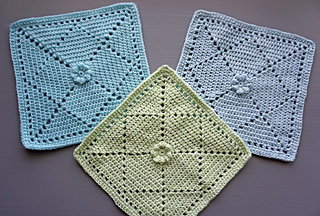 When made with worsted weight yarn, it measures approximately 12 inches. When made with double knit (DK) weight yarn, it measures approximately 9 inches. Please note only the English version has been tested. If there are any discrepancies between the English version and other languages, please refer to the English version for accuracy. This pattern is for personal use only. Must not be copied in part or whole.